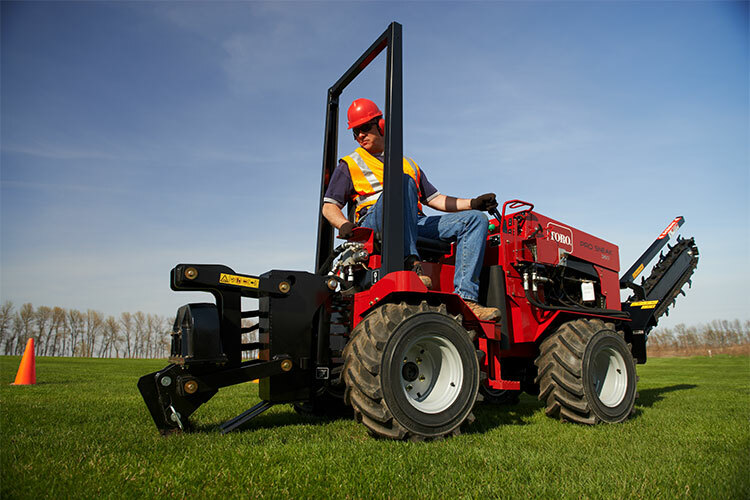 The Toro Pro Sneak 360 vibratory plow maxi sneaker delivers powerful plowing in a compact and maneuverable package. 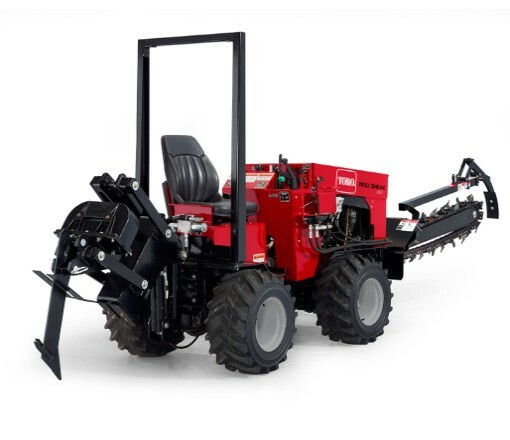 The pro sneak offers consistent plowing up to 24 inches deep maintained by the positive hydraulic down pressure. A 10 degree frame oscillation ensures constant wheel to ground contact when plowing over bumpy terrain or cross trenching. The Toro maxi sneaker is 36 inches wide so it can access even the tightest areas. Hydraulic steering gives this unit maximum maneuverability and increased stability and traction with the two wheel option. This machine articulates up to 28 degrees and operator position design makes sure the user can see all four tires while trenching or plowing. The trencher can trench up to 3 feet deep and the optional hydraborer can bore underground in even the toughest of conditions. This unit is powered by a Caterpillar C1.6 liquid cooled 35.5 gross diesel engine. Looking for Astec or Case parts? Click Here! $0 down and no payments for 120 days on Toro Maxi Sneakers!